Every car show is a little different but the car shows with swap meets are a great double ticket. You never know what you may find, from automotive themed bars and outside furniture to hand made car plaques. 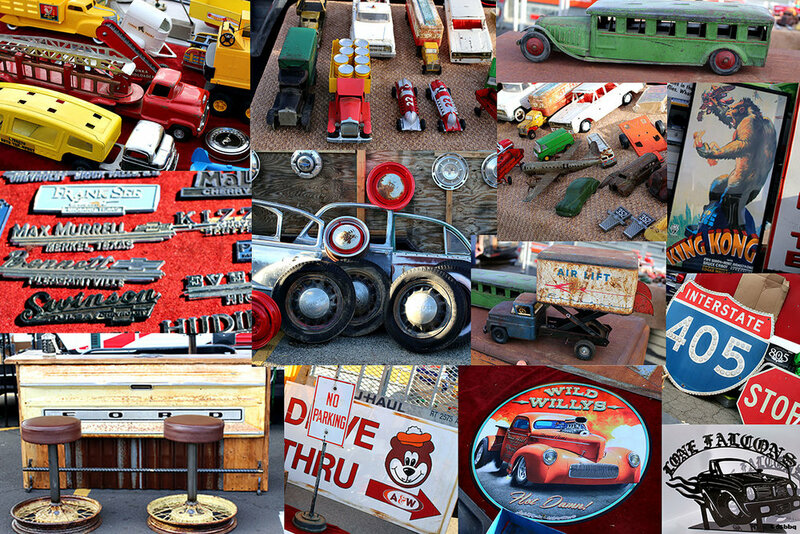 The Pomona Swap Meet is a car show with a pretty diverse swap meet along with the Roadster Show at the Fairplex. When checking out car show don't forget to wonder into the swap meet side. Vintage finds and automotive needs are everywhere. The Pomona Swap Meet is this weekend. Sunday March 4, 2018, parking is now $12.00 so have the extra $2.00 ready so not to hold up that very long line. The Lone Falcons car plaque: The Zug Monsters-Pomona Swap Meet-They can create anything cool! Bars and outside automotive furniture: Rusted Gold-Pomona Swap Meet-The bars are awesome.